Even if you live in a New York apartment you can bring a touch of the countryside with you. 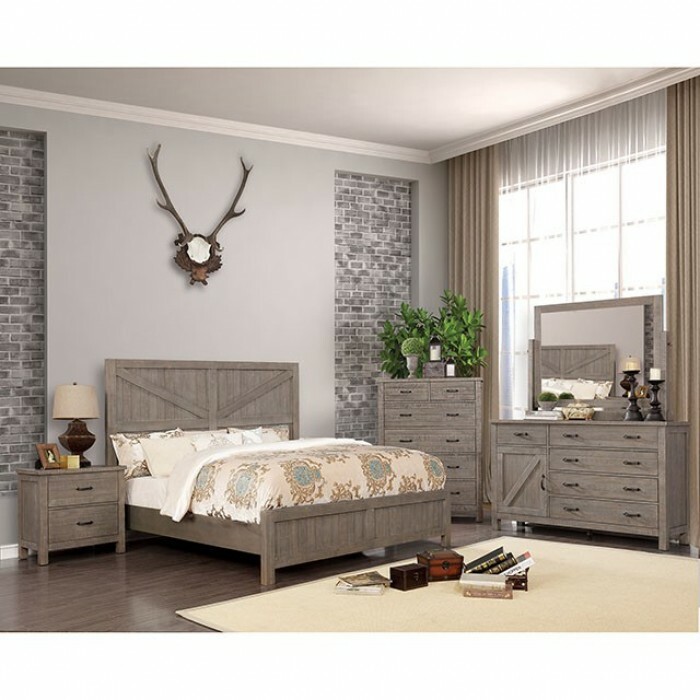 This bedroom collection has all of the right notes of rural warmth with a smoky gray finish, giving you a mature look and sophistication. The headboard features a barn style plank pattern, and the case goods have an equally hearty construction. Felt lined top drawers are perfect for housing important items, and the cedar wood drawer bottoms keep insects away from your clothing.